Pure Center Blade Black (PCB) (P1003) - Putters - SHOP NOW! This putter incorporates the dynamic benefit of “Face Balanced at IMPACT” also called “square to plane” or “balanced to plane”. Putters in this category consist of blades and small mallets hosting a straight center shaft or near center shaft design. They help the golfer develop an improved putting stroke and have the ability to continually improve with guidance from a SPi instructor or SeeMore tech manual or video. 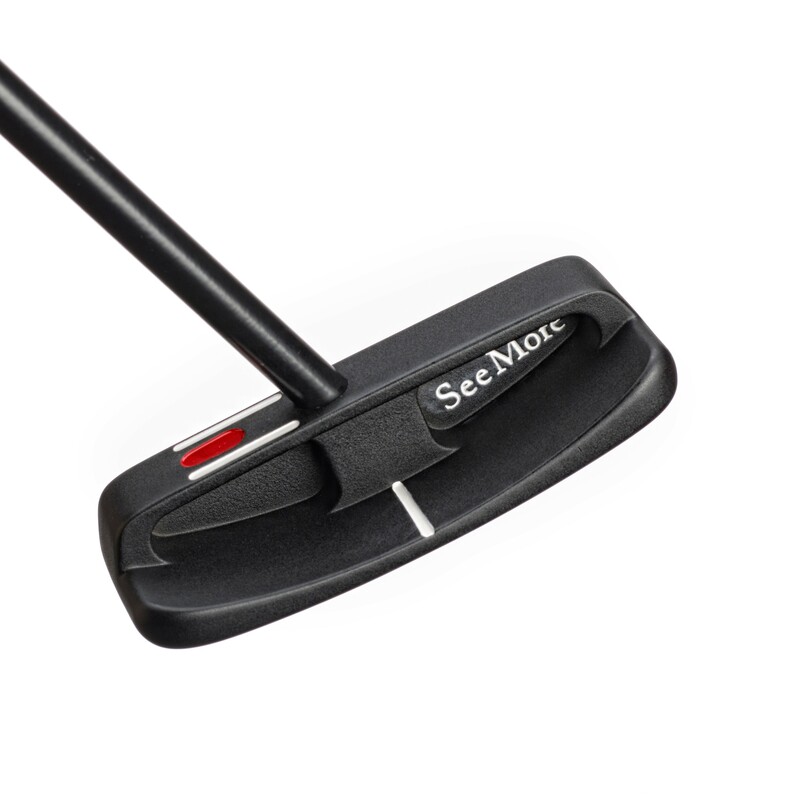 SeeMore’s optimal designs are Face Balance at IMPACT putters. The PCB is a simple, classic, pure center shafted blade and provides the great alignment and setup benefits of RifleScope Technology (RST). Straight Shaft. Face balanced. Cast 303 stainless steel now featuring a milled face. All Putter Models Have SeeMore's Patented RifleScope Technology (RST) Alignment System, For A True Reference Point For Perfect Alignment And Set Up On Every Putt. This putter is face balanced at impact or “balanced to plane”, meaning it's dynamically balanced to the angle you putt and naturally returns to square at impact - less manipulation during the stroke to keep the putter face on the correct path. The Pure Center Blade or PCB is a simple, classic, pure center shafted blade and provides the great alignment and setup benefits of RifleScope Technology (RST). Straight Shaft. Face balanced. Cast 303 stainless steel now featuring a milled face. Awesome putter! Easy to align, great weight and balance and the feel off the face is amazing. Played nine holes and only had 12 putts. Can’t say enough good things about the SeeMore PCB Black! I was trying different putters and with this one I kept dropping puts from one spot were others kept pulling left. Case closed I bought it and now about 2 months later I 'm still dropping a lot of puts. My friends tell me this is by far the best I'be ever putted and I have to agree! 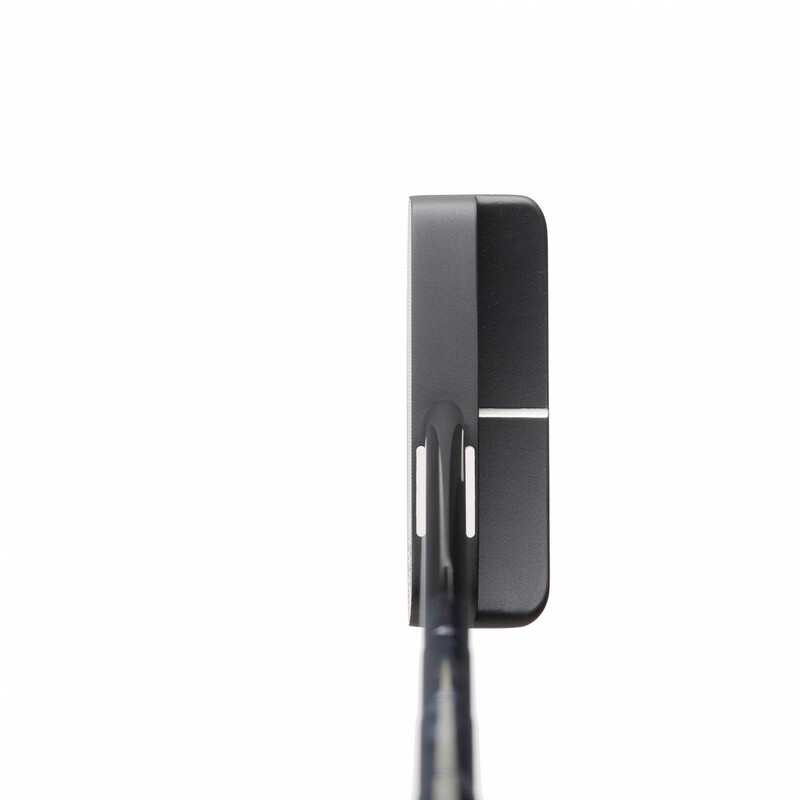 If you are searching for a blade putter, face balanced and great feel this is the one! I have played it for two years, usually I buy new putters often, almost one every year. This one I will keep for ever.